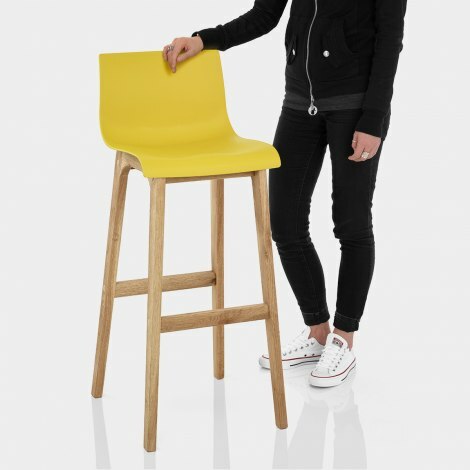 The Drift Oak and Yellow Bar Stool adds a splash of vibrant colour and modern brilliance to your bar area. Bright summer style radiates from this design, instantly livening up its surroundings and ensuring the Drift will bring sunshine to your interior all year round. The matt yellow resin seat contrasts with the solid oak frame, adding a contemporary feel to any room. 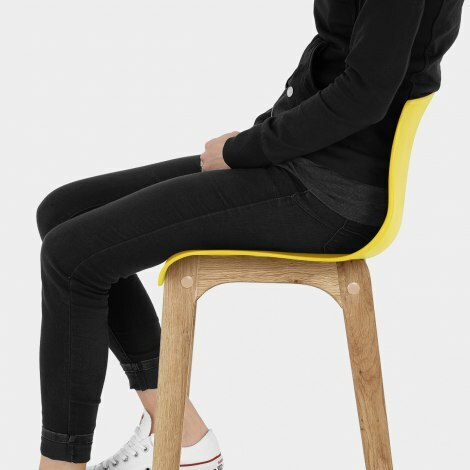 Complete with a curved medium height backrest, the stool provides support and comfort when seated. A solid oak frame gives this stool a natural quality whilst providing stability and added support with a built in footrest. 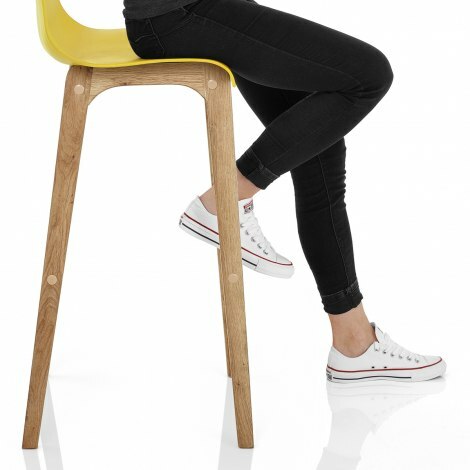 "They look fab and are practical and comfy"
These stools look great, are quite straightforward to assemble & are really comfortable. Free next day delivery too. They look fab in our new kitchen - would definitely recommend. These bar stools are everything we have been looking for! Very nice quality, well made, great colour and the perfect height for counter top hight breakfast bars. The delivery service was second to none! Pleasure doing business with Atlantic. Ordered the stools in yellow. They arrived very quickly, easy to assemble and look brilliant. Really work well with our white and grey kitchen island. Arrived quickly. Easy to assemble. Comfortable to sit on. Kids love them. Just what I was looking for. Easy to put together. Comfortable. Nice colour yellow.